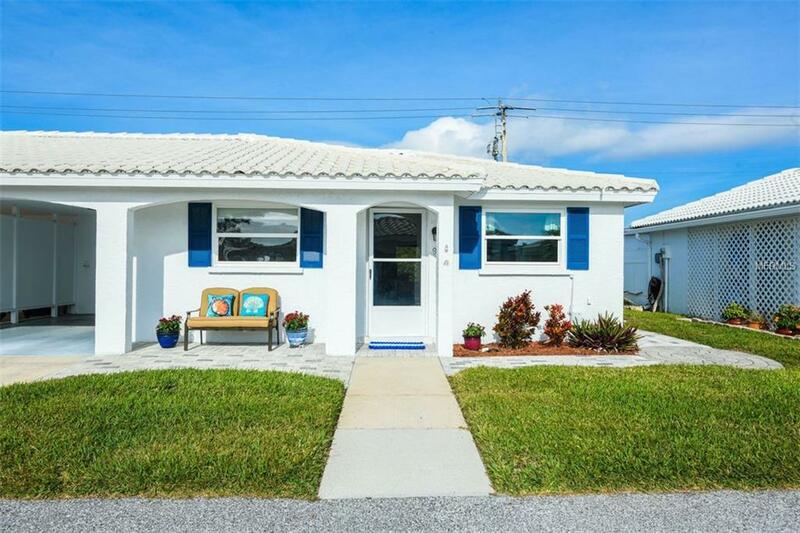 Enjoy island living in this lovely ground level villa with a partial view of Sarasota Bay from the Florida room and back outdoor brick paver patio. Meticulous move-in condition. Floor plan lends itself to great entertaining. Brand new grey tile plank flooring throughout entire villa. Features include thirty foot Florida Room with open spacious green backdrop and nice water views. A/C new 2016. Brick pavers recently installed around the home. 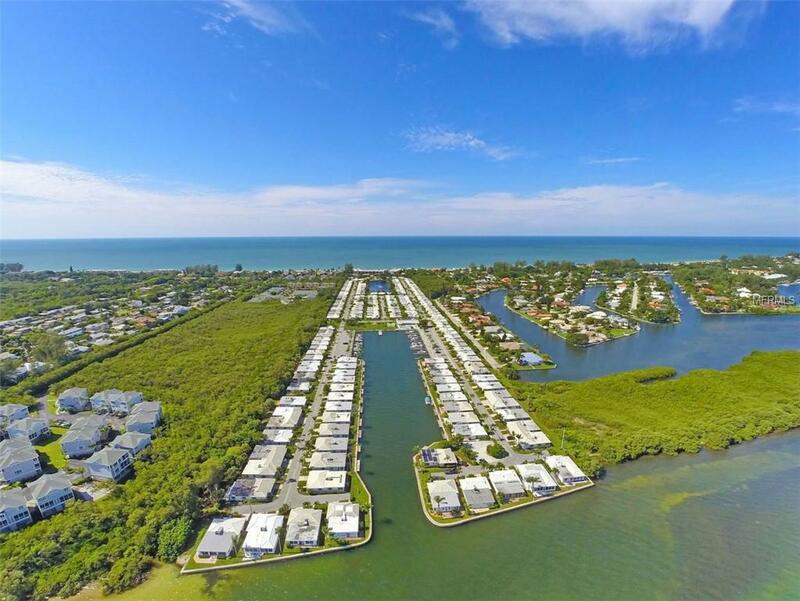 Enjoy the sunshine, relax, kayak, fish or boat in this sought after old Florida charming community. Deeded beach access right across the street. Maintenance-free, waterfront complex with deep water marina and 45 boat slips. Pet-friendly heated pool with fabulous water views. Enjoy the advantages of a quiet yet friendly, energetic neighborhood. Restaurants, shops, tennis & golf right on the island. 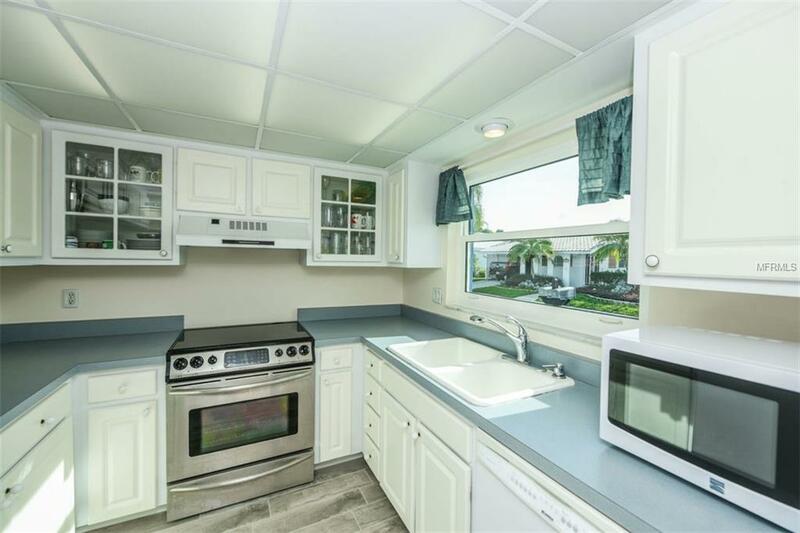 Minutes away from the famous St. Armands Circle and downtown Sarasota. This young 55+ community allows any age to purchase but must be 50 yrs. to live full-time.